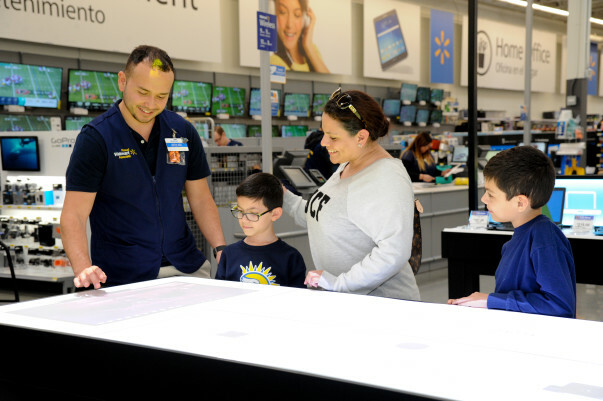 Walmart is testing six unified commerce approaches in two recently opened supercenters in Tomball, TX, and Lake Nona, FL. These stores were fully reimagined from a new layout, to building and environmental enhancements, to added technology that all improve the shopping experience, according to a blog post written by Jeff Muench, senior director of Business Development. 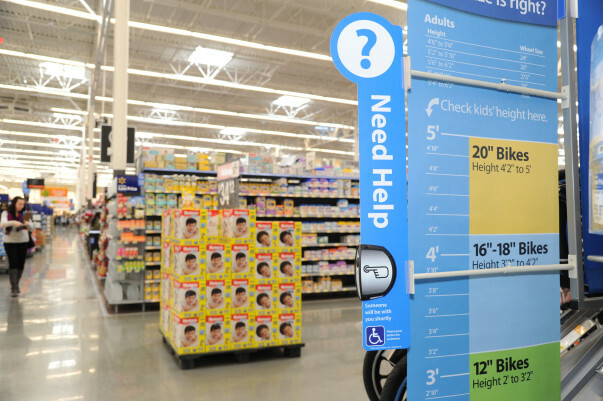 "Walmart has always been willing to pioneer in new technology to grow the company, and the focus on in-store technology is telling," says Stuart Aldrige, Principal, Columbus Consulting International. "Amazon may have web hits and clicks, but Walmart has breathtaking footfall numbers and with that they have an opportunity to create a whole new experience for the customer that will change their view on what shopping can be. They have also taken to heart the connection between online and in-store and are trying to blur the lines; largely because that's how the next generation wants to shop. These may only be a couple of prototype stores in a global portfolio of bricks and mortar, but it's as clear an insight as we are likely to see into how Walmart believes it can fend off the online competition." Both new stores feature a reimagined store layout. For example, services like the beauty salon and tech repair are adjacent to relevant merchandise. Health and wellness departments are consolidated to create a single destination. Baby, toys, kids' apparel and kids' shoes form a single destination to "ease mom’s shopping journey." 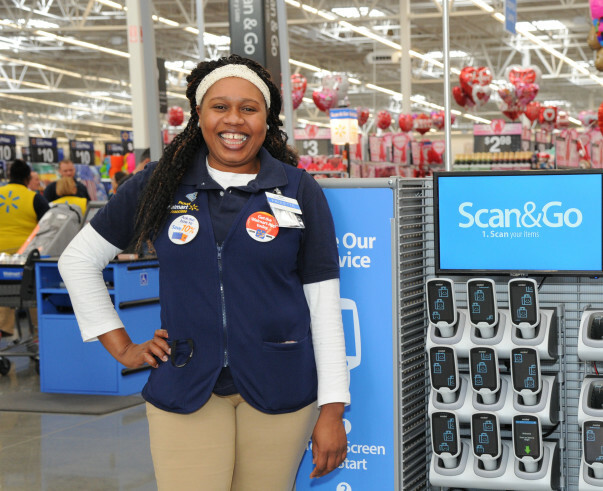 Scan & Go technology works both on personal smartphones and Walmart-provided handheld devices. Customers are greeted on their way into the store by a large bank of these Scan & Go wands, and new digital produce scales have been added to make scanning weighable items much easier. 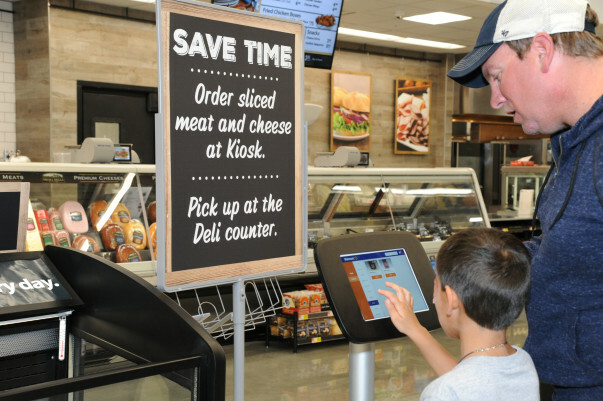 Scan & Go fast pass checkout lanes allow customers to bypass the traditional checkout process. "Walmart’s offering of smartphone checkout in its next-generation stores points toward a more mobile-focused customer journey, one many merchants have been proactively pursuing for several years with the provision of mobile optimized websites and native smartphone apps, which provide exactly the kind of ideal buying experiences Walmart is looking to create in-store," notes Casey Gannon, VP of Marketing, Shopgate. New interactive projection technology allows customers to learn about IoT connected devices (Google Home, Apple TV, Nest, baby monitors and connected thermostats). Images are projected onto tables and walls, and the product details can be updated quickly through the new platform. Shoppers can use the outside drive-thru to pick up weekly groceries, prescriptions and Walmart.com orders. 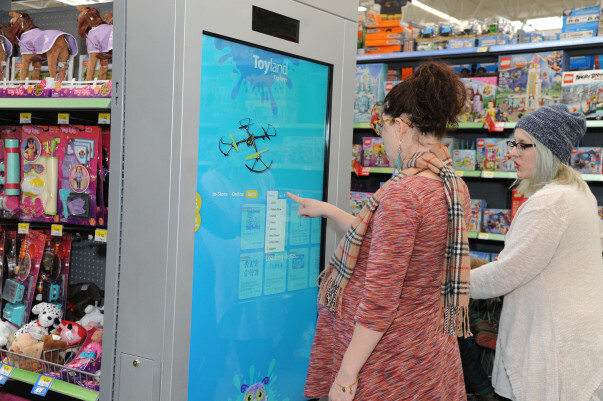 The Tomball Supercenter features interactive screens offering access to an extended curated selection of online-only items in almost 100 categories. Customers can order products, pay with the rest of their basket at checkout and pick up two days later. “Walmart is doing a brilliant job at truly blurring the lines between physical and digital shopping," comments Nick McLean, CEO, OrderDynamics. "Literally, they have brought digital terminals right into the physical store. Whether you are on Wifi doing mobile shopping, or finding your goods on the lookup terminal, doing an online pickup, or putting in an online order from the store, Walmart is making the physical presence a digital destination. Better yet, every store is now an order fulfillment destination. They are catering to the shopper’s preferred buying journey and are leveraging their strengths – namely having both physical and digital locations." Both stores test a new appointment and ordering kiosk system where a shopper places an order, goes shopping, then comes back to pick it up. If the initial test in the deli area goes well, Walmart says the tech could be expanded to the pharmacy, Auto Care Center, beauty salon and more. “Walmart’s deployment of next-gen call buttons and wearables for hourly workers in their two new test stores underscores a key trend in retail today – winning retailers must empower store associates to effectively engage with customers, or else they won’t survive," says Adam Silverman, SVP Marketing, Theatro. "Connected customers have much higher expectations of associates, and new engagement technology must be employed to bolster the role of the greatest asset brick-and-mortar retailers have - their team. " “In the ongoing saga between Amazon and Walmart, this is an obvious move to give consumers an opportunity to experience the omnichannel store of the ‘now,'" says David Buckingham, CEO, Ecrebo. "But Wal-Mart clearly wants to showcase its commitment to long-term customer loyalty and in-store convenience and speed."